Mobile messaging app Line, which has over 230 million registered users, has introduced prepaid cards to give users a new way to load money into their accounts to spend on games, stickers and other virtual content. 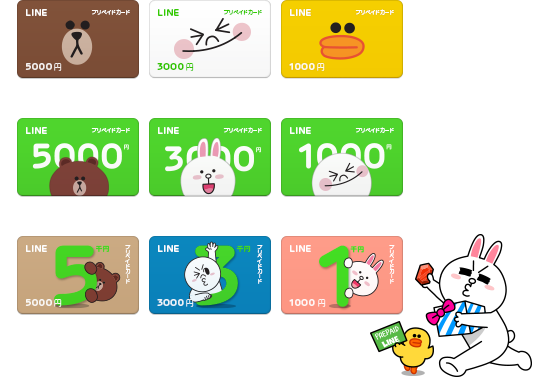 Line prepaid cards are initially available in Japan, where they will be stocked by selected retailers. There are plans to introduce them in Taiwan — Line’s second largest market — and perhaps other countries later. The company says the cards are not only aimed at giving non-credit card users a way to load money, but are also fun: coming in a range of colorful and cute designs. That sounds just like Line’s stickers, the animation meets emoticon-like badges for chat — but let’s not forget that Line is making over $10 million per month from selling sticker packs, so cute can be lucrative.